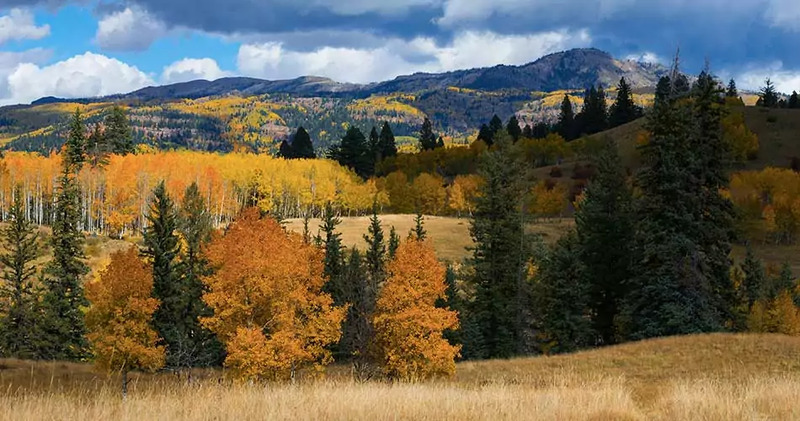 Western Landowners Alliance advances policies and practices that sustain working lands, connected landscapes, and native species. Join us on our mission. When should a succession plan be put in place? Who should be involved? 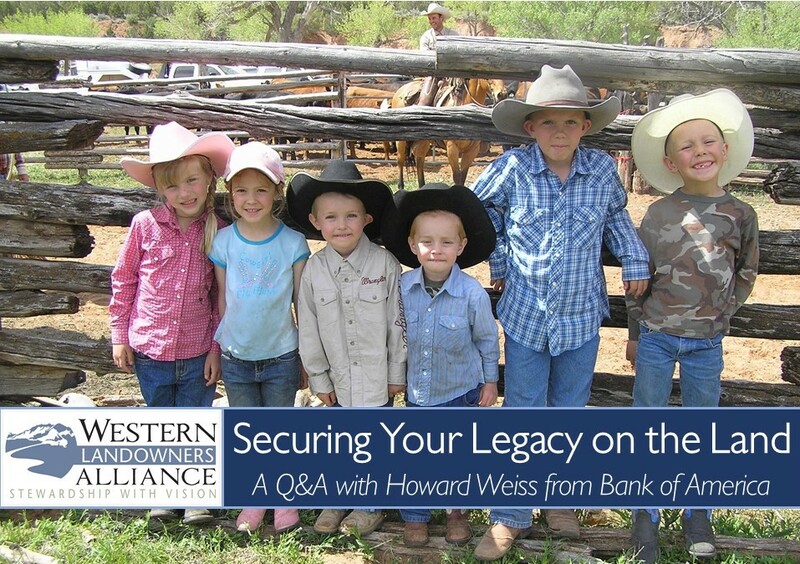 What are the basic components of a farm or ranch business succession plan? Who can help put it in place? What policy conditions would empower landowners to allocate time, talent and resources to biodiversity and connectivity? This question is the center of a recent WLA paper, which treats conservation primarily as a certain desirable form of economics, focusing less on conservation as the setting aside or protection of lands. Ultimately, it argues, the next era of conservation must focus on creating fertile conditions for private stewardship. In this new landowners' guide, WLA offers the collective knowledge and hands-on experience of over 30 land, livestock and resource managers engaged in one of the greatest conservation challenges of our time: how to share and manage a wild, working landscape that sustains both people and wildlife. 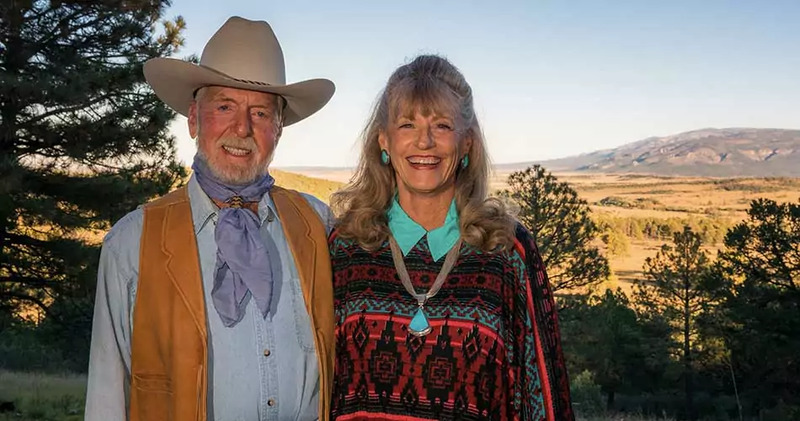 A couple years ago, between plenary sessions at the annual Quivira Coalition conference in New Mexico, a hallway conversation led to a gathering of 26 women a few months later on a ranch in California. 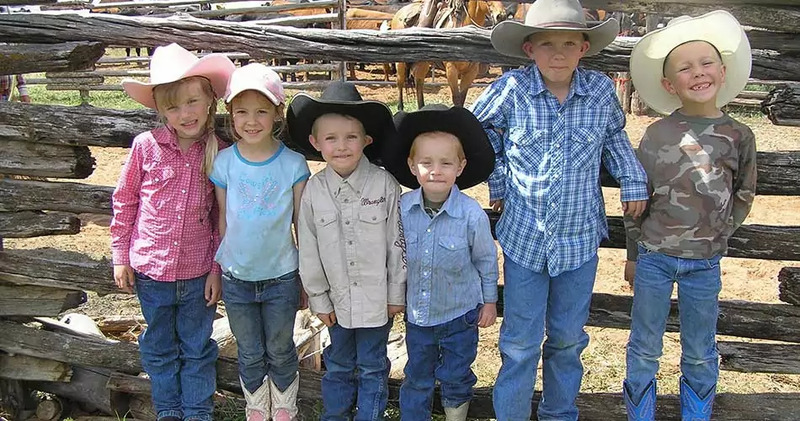 Today, what started as a conversation about “Women in Ranching” has become a new WLA program. We couldn’t be more pleased! Read the announcement. Visit the New WinR Page! 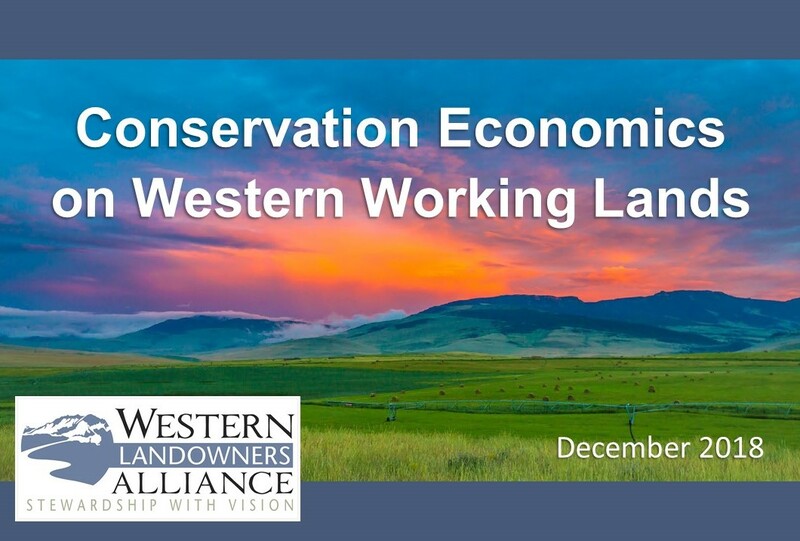 Western Landowners Alliance advances policies and practices that sustain working lands, connected landscapes and native species. We envision a future in which private and leased public lands in the West are resilient to stressors, healthy, and biologically diverse, and provide for prosperous rural business and critical ecological services. We provide a collective voice, a peer network and a shared knowledge base for landowners striving to keep the land whole and healthy. Join our collective effort and enjoy the benefits of membership. Western Landowners Alliance is proud to announce our stewardship videos.